We are very pleased to announce that Stacie Williams is our keynote speaker for the 2016 DLF Forum in Milwaukee! DLF’s opening-morning keynote will help us kick off a pragmatic, get-stuff-done conversation, unfolding over the following days. Be sure to submit your proposals by May 15th to help shape the rest of the program. Williams’ keynote will focus on labor issues in our field, and we will share a title and abstract in the coming months. We are particularly pleased to be welcoming her home to Milwaukee, where she was born and raised, a background she tells us has shaped her perspectives on issues like the “Implications of Archival Labor”. Stacie Williams is the Learning Lab Manager at the University of Kentucky’s Special Collections Research Center, coordinating an undergraduate archives internship, and additionally teaches the graduate-level archives and manuscripts management course in UK’s School of Library and Information Science. 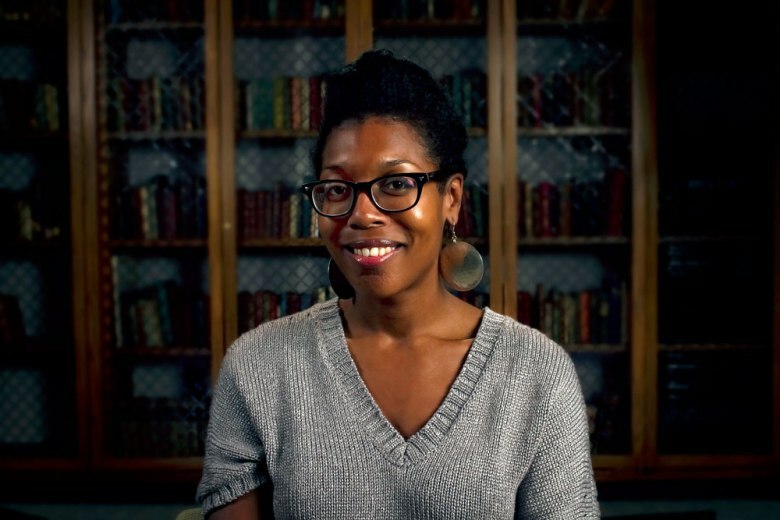 She has previously worked at Tufts University’s Digital Collections and Archives, the Harvard Medical School’s Countway Library, and the Lexington (Ky.) Public Library. In 2013, Williams organized a panel at SXSW about ways that information professionals can influence and engage grassroots activism on Twitter, and she has co-published on topics such as community archives, cyberracism and information literacy. She is a 2010 ALA Spectrum Scholar and a member of the 2015 Archives Leadership Institute cohort. She holds an M.S. in library science with an Archives Management concentration from Simmons College, and a B.A. in journalism from the University of Wisconsin at Madison. Find her on Twitter @wribrarian. We have yet to announce keynote speakers for the DLF Liberal Arts College Pre-Conference and NDSA’s Digital Preservation 2016, so there’s much to look forward to! See you in Milwaukee for the 2016 #DLFforum!